It's the dawn of a new week and today just flew right on by. It's snowing, still. I thought there was going to be a school cancellation today, but no. The snow banks are so high now you can no longer see the cars parked in the road! 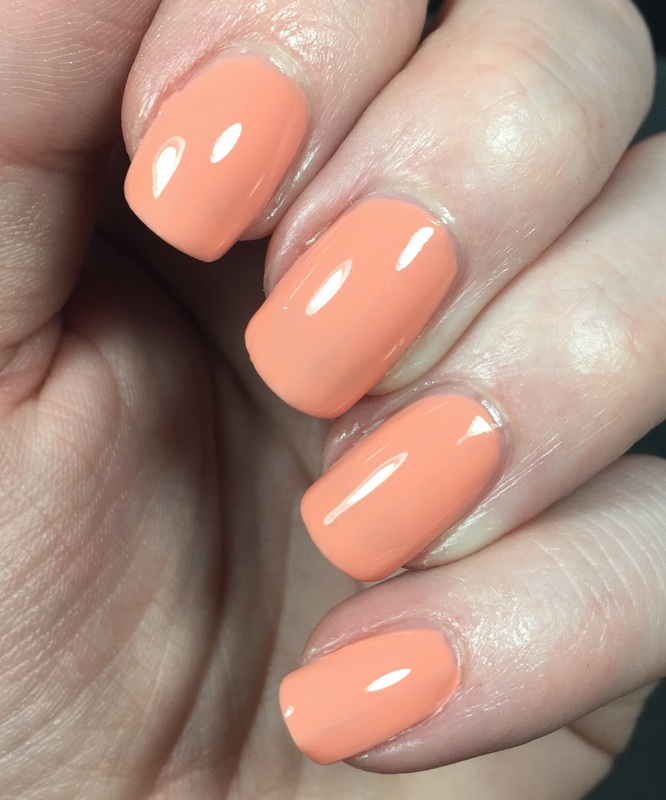 Today I have a polish that is making me think spring. This is Bonita Hostess With The Mostess from the I Flipping Love This collection. The whole collection has sort of a Valentine-y vibe to it. They are only $1.49 each and yet this is the only one that I got. As of right now, it was still available at my Rite-Aid so if this looks good to you, scoot on over and grab it. This is a pale orange color, like orange sherbet. It's a bit on the thin side so I used three coats here and I topped it with Glossy Glam. 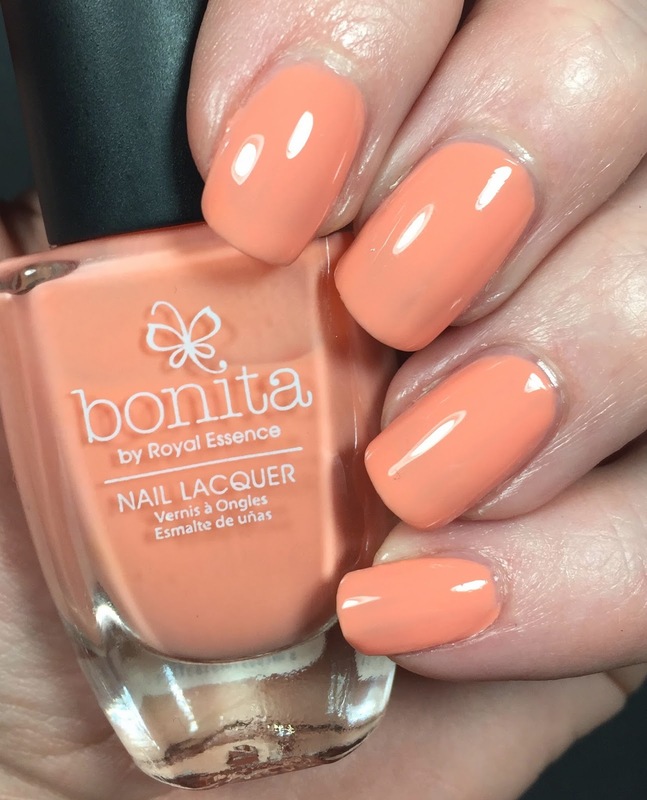 These Bonita polishes are fantastic. They are affordable, I see them have a wide range of colors and wear well! I highly recommend them. 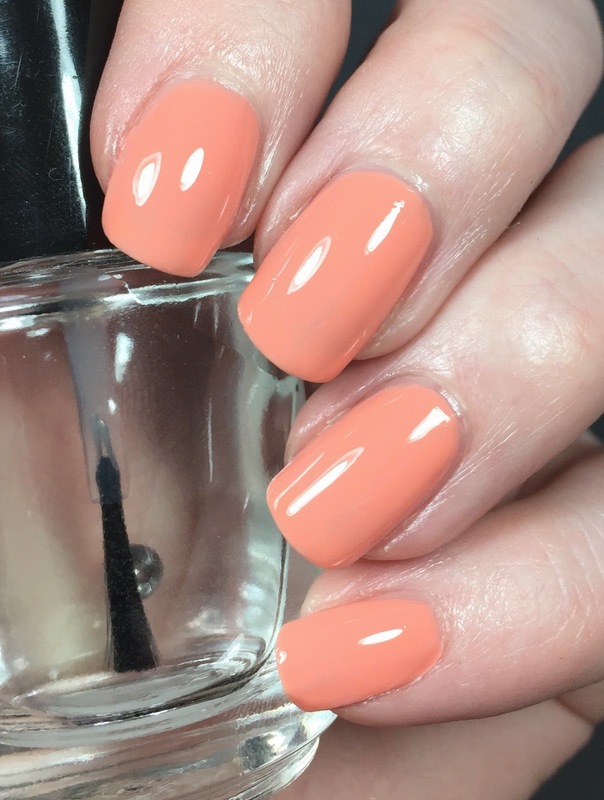 What a pretty peachy creme! I quite like it.